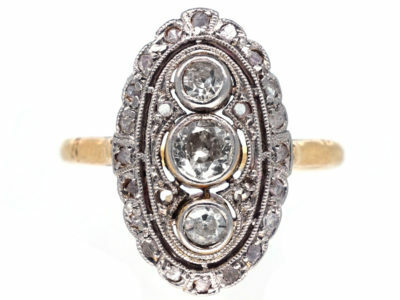 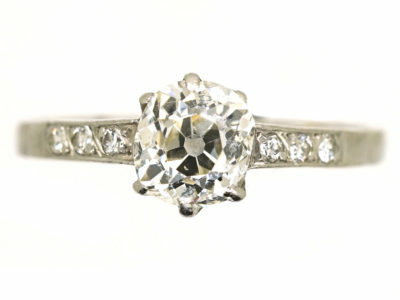 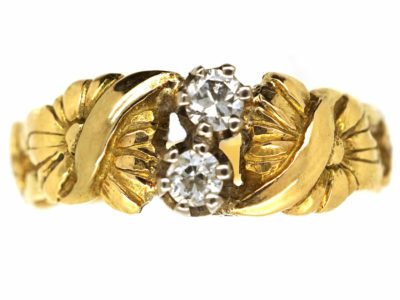 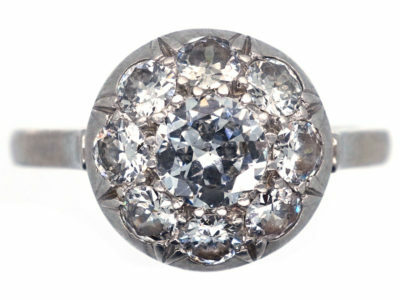 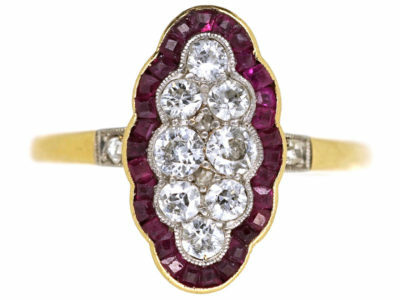 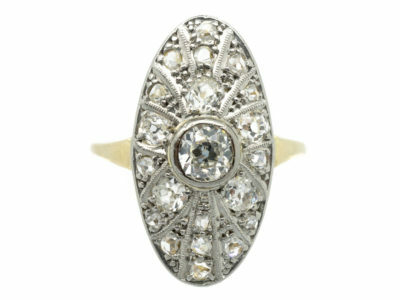 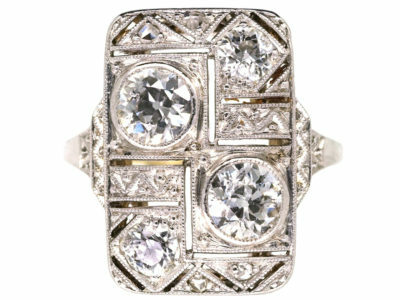 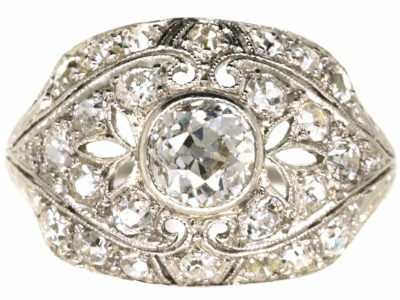 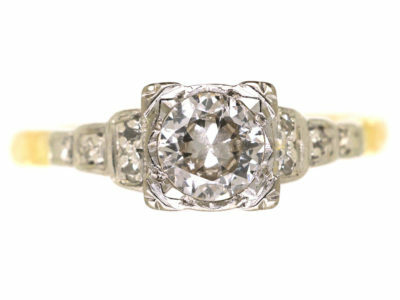 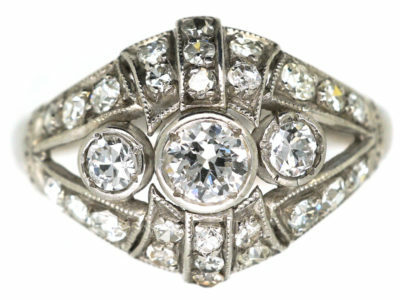 A stylish Art Deco ring that was made in the 1920s. 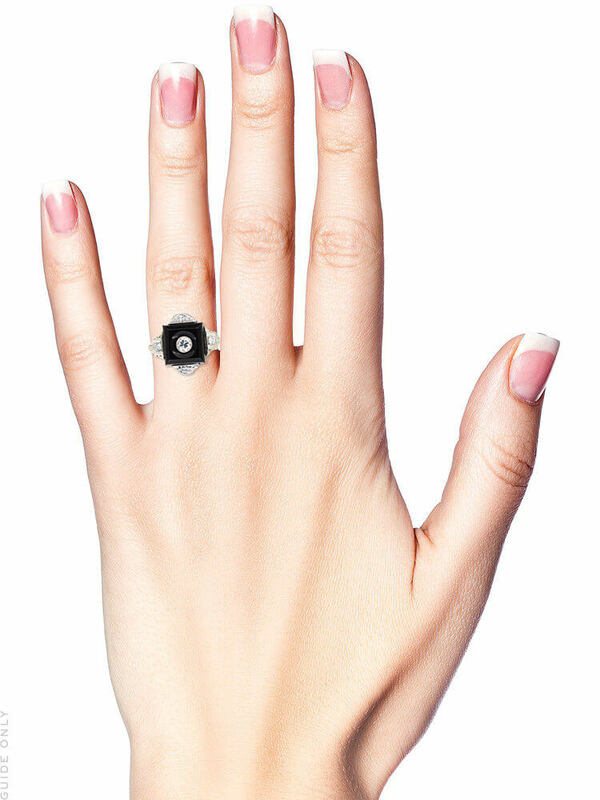 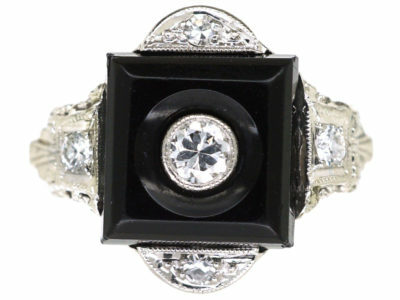 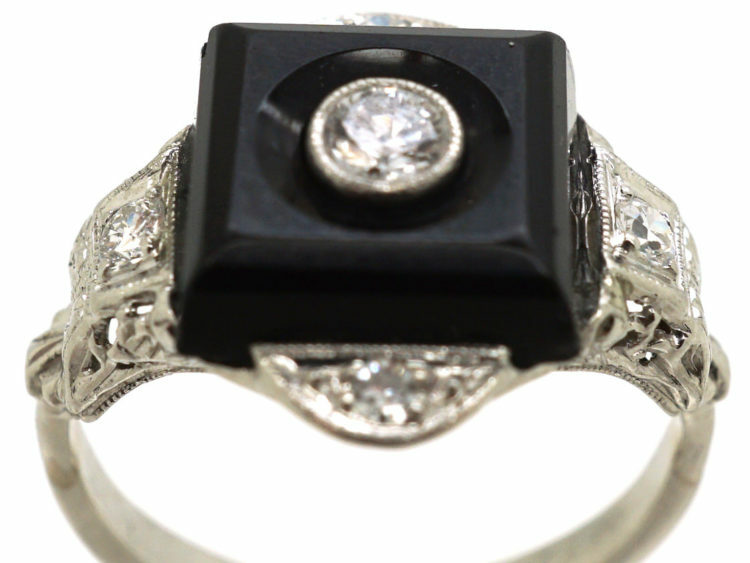 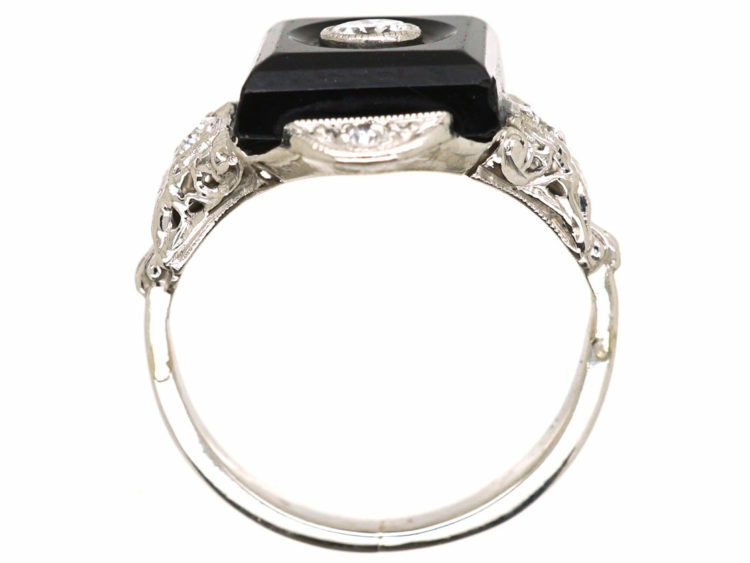 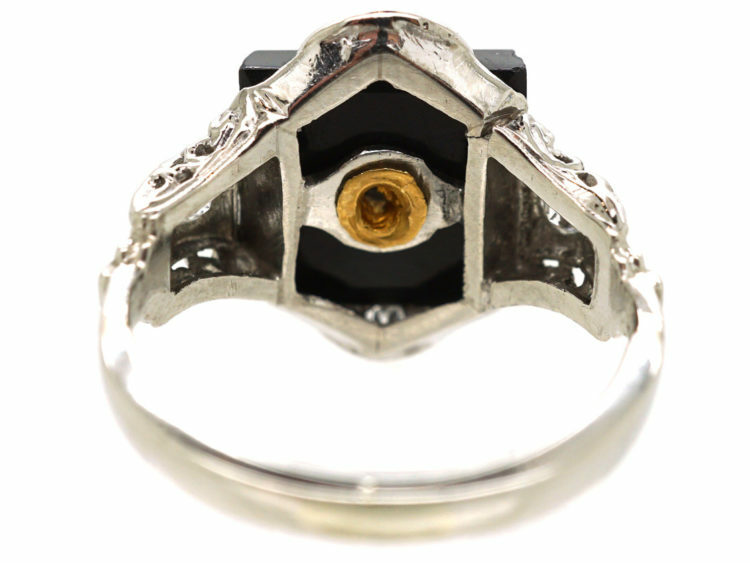 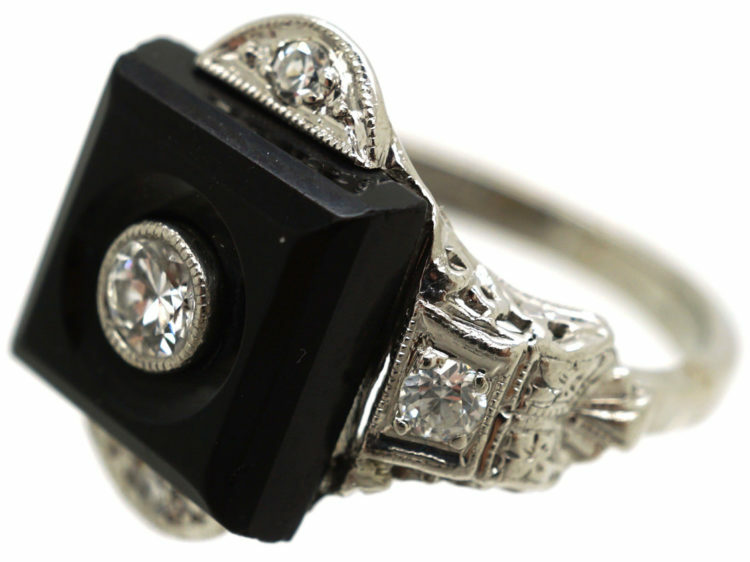 It has been set with a square cut piece of onyx with a good white diamond in the centre. The shoulders have interesting detail and are set with a diamond on either side. 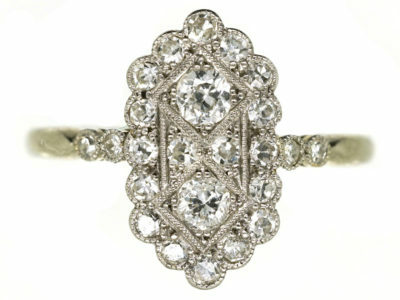 There is a diamond set on either side of the scalloped edge too. 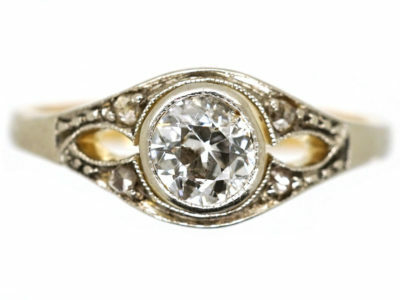 It was made in Germany, most likely in Pforzheim which was the main jewellery manufacturing centre in Germany.